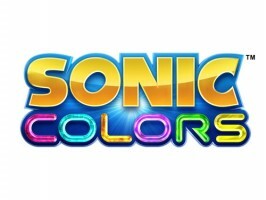 Japanese gamers will get both editions of Sonic Colors at about the same time as everyone else, reports AndriaSang. The Nintendo Wii and DS release of the next Sonic will occur November 18th in that country. It won’t be cheap; the Wii release will sell for ¥6,090, or more than $71. The portable edition will retail for ¥5,040, or $59. Both are far above typical domestic price points for Nintendo fare. But the Japanese will get a bonus: a special card that can be used in Rekishi Taisen Gettenka, a Sega developed arcade card game for kids. Pre-orders will get the special item that can be used to have Sonic appear in-game. Domestic pre-orders receive a special Sonic hat. All in all, Sonic Colors will trickle out worldwide over the course of a week. It’ll be a big week, and November is expected to be a big month. Be sure to turn to TSSZ News from now until then for the latest developments.